Our boarding goes by the night, just as a hotel does. Check out time is between 9am-12noon, with a daycare charge for each pet after 12 noon. 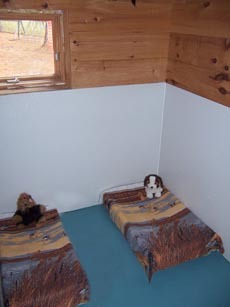 Separate boarding areas for same size dogs including a toy breed room. Extra warm and cozy for the little ones! We also have extra large rooms so brothers and sisters can stay together. Each room has raised beds, blankets and toys. The kitty condos have levels and glass as well as soft pillow beds. Plenty of room for company, too. Ask about our NEW vip condos!! If a vet is needed during your animal's stay we make every effort to use your preferred vet. If your vet is unavailable, we use Broadview Animal Hospital which is located a quick 7 minutes away from our facility! We highly recommend them for quality vet care. Please bring ample amounts of your pets food. We try to stay as close as we can to the schedule at home they are used too. New foods at different times can uset a pet. Feel free to include treats, too. 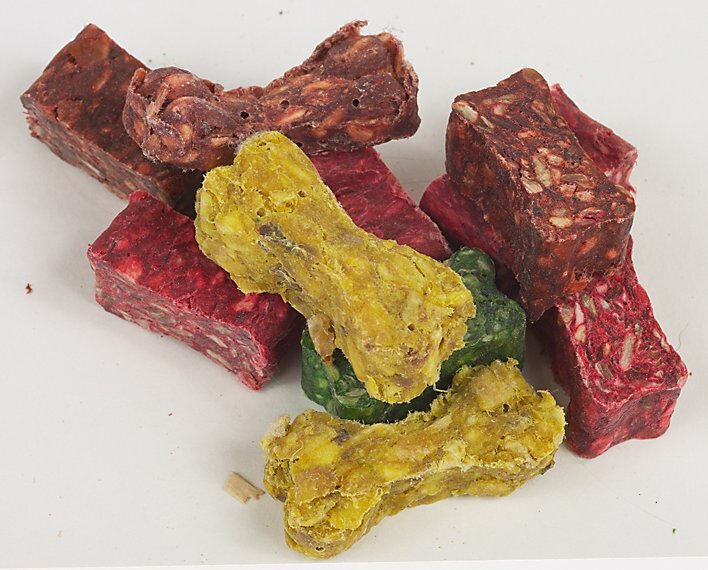 We do offer our own treats if ones are not provided that are wholesome and natural. Please be sure to let us know of any allergies. If your pet has medication, please fill out the medi sheet with correct dosage and times. This will be kept on your animals room door in bright orange. The staff makes sure its given at the right times and amounts and signs it. We do charge a small fee for meds. Please be sure to bring extra meds and food to be sure we are covered should your time away be extended. We also care for small animals such as ferrets, bunnies, birds and more. Yes, we have even boarded Pot Belly pigs. Rates depend on the animal and care required. Our boarding rates can't be beat. For one dog its $30.00 per night. For two dogs, we only charge $55.00 per night. That comes with a $5 discount per night. If you need to board three dogs, that is $75.00, with a $15.00 discount per night. If you have more dogs, please contact us for pricing.